Here is a little tutorial by request. Using this method you can have a nice smooth corner on your porch. This can be used in a decorative manor anywhere. First you will need an even number of tiles on the two meeting sides of the porch. As you can see here I have 3 tiles on the left a and 3 tiles on the bottom portion of the porch. Step 1: Fill in all of the tile as shown here. Notice the direction of the wood. Use your < and > keys to turn the tile. 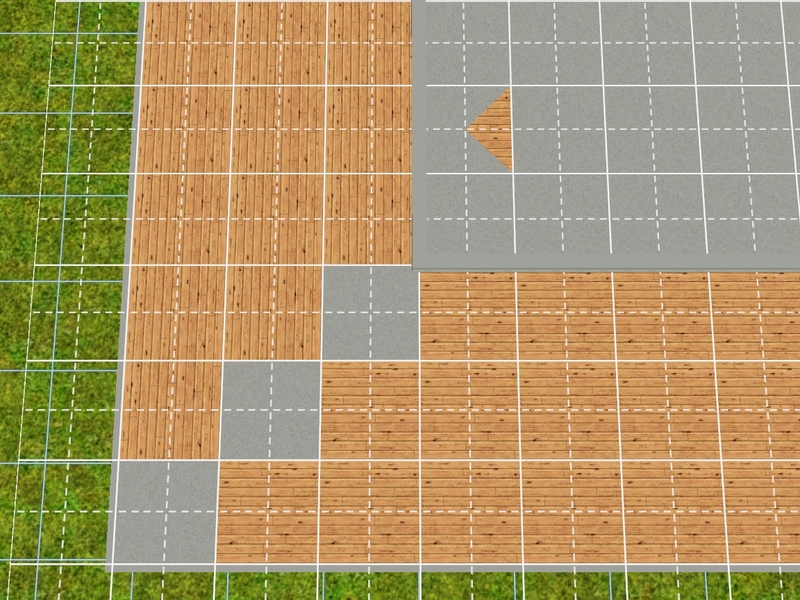 Step 2: I’ve chosen to start with the tile in the direction of the last area I filled in. 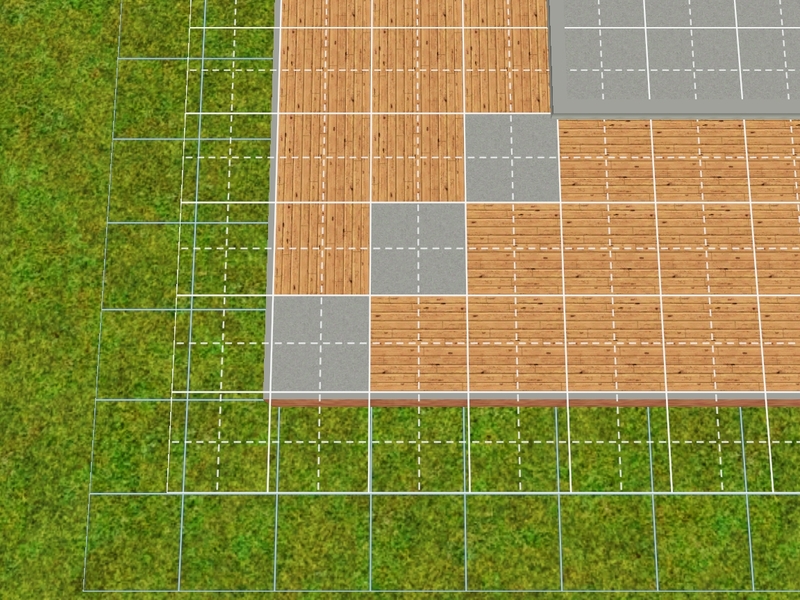 Press Ctrl + F and your tile will change to a 1/4 tile. 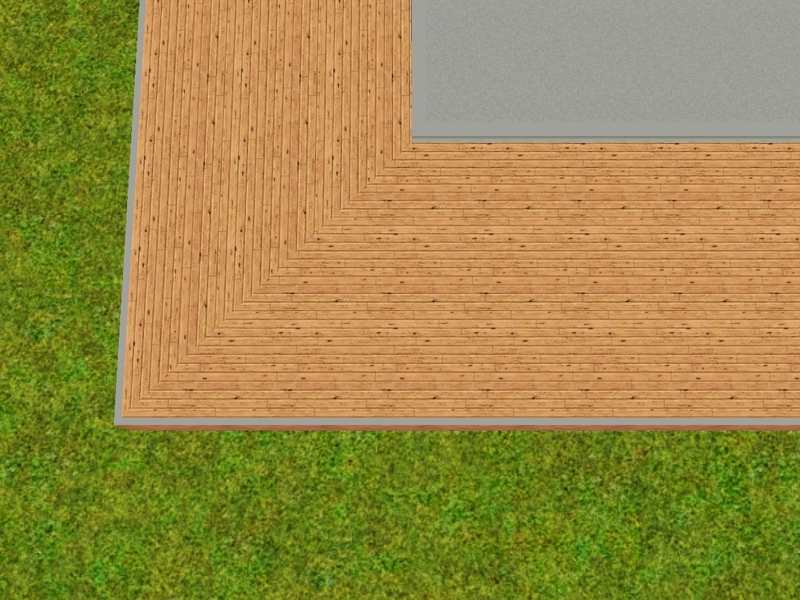 You can see the 1/4 tile and how it will appear in the unfinished floor. Step 3: Carefully fill in the empty spaces on the one side. Make sure your tile is going in the same direction as the side you are filling. 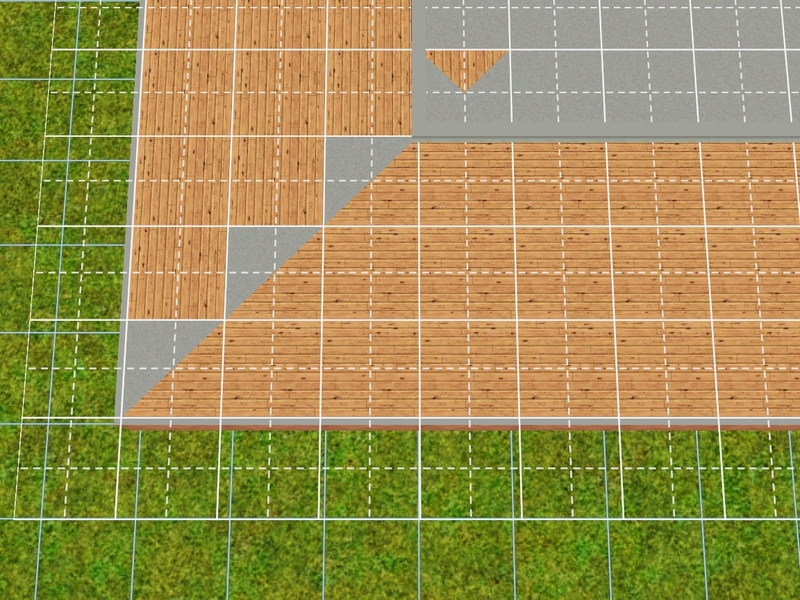 Step 4: When you have finished the first side, use the < or the > key to change the direction of the tile to match the other side (My left side). Step 5: Fill in the other side making sure the tile matches. Finished: The finished product will look like this. A much prettier and smother finish to the corners of your porch. Enjoy and be creative with Ctrl + F.
This entry was posted in Pretty Corners, Tutorials. Bookmark the permalink.